St Peter Julian’s Church was established by the Blessed Sacrament Congregation of priests and brothers, members of the French (now international) religious order founded in 1856 by St Peter Julian Eymard (1811-1868). 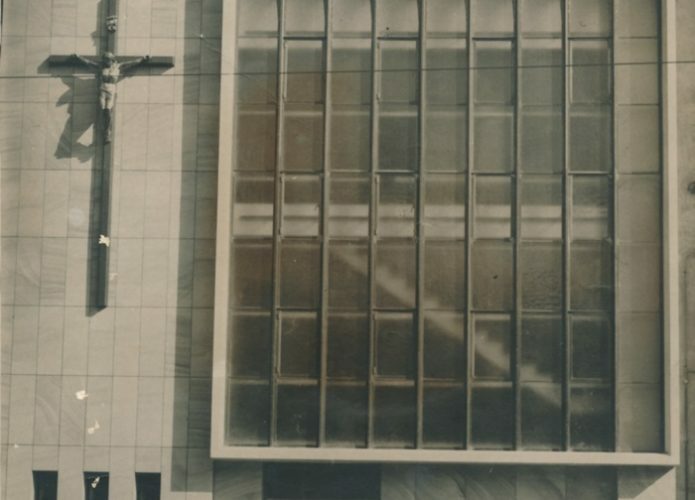 The Congregation arrived in Australia in 1929, when five priests and two brothers travelled from Canada and the United States to assume the pastoral care of the historic St Francis’ Church in the centre of Melbourne. 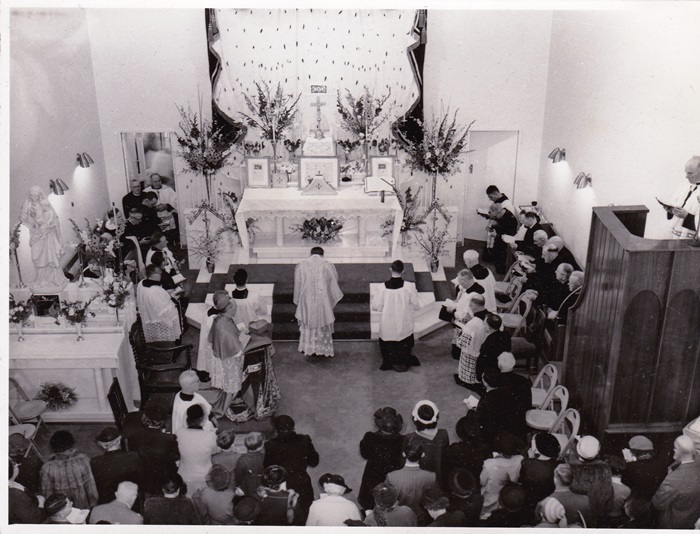 By the early 1950s, after St Francis’ had been successfully transformed into a shrine of perpetual adoration, the Congregation moved to establish a similar eucharistic shrine in the heart of Sydney. 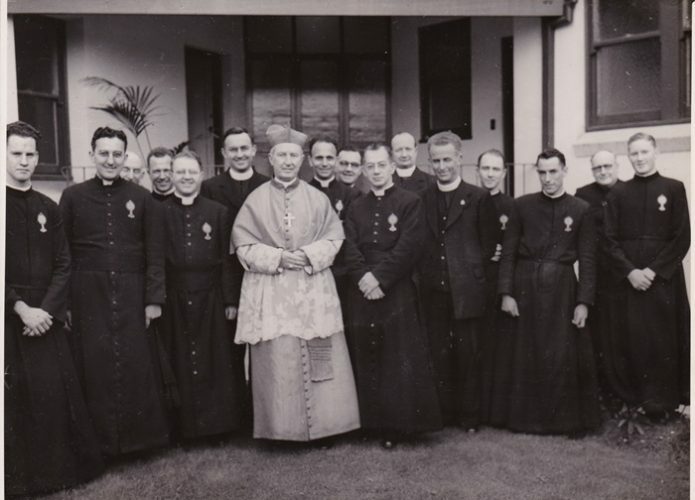 A large property owned by the Amalgamated Furnishing Company at Haymarket was purchased in 1952 and redeveloped to create a monastery and a small city chapel, which was known as the Church of the Blessed Sacrament when opened by Cardinal Norman Gilroy on 30 August 1953. Three priests and ten brothers formed the foundation community. 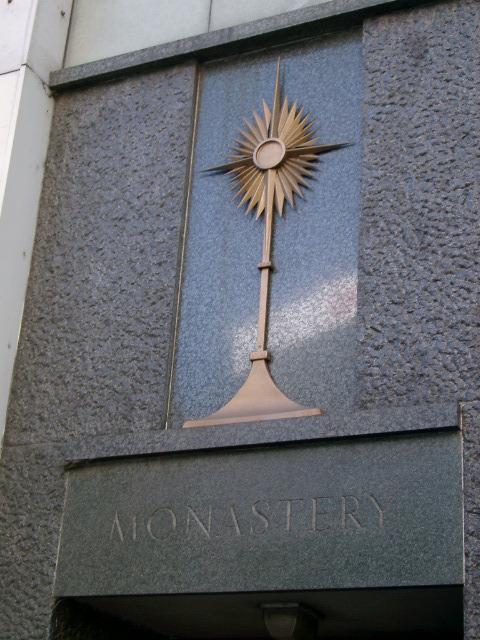 Perpetual adoration of the Blessed Sacrament began at the outset, despite the relatively low number of members of the religious community at that time. 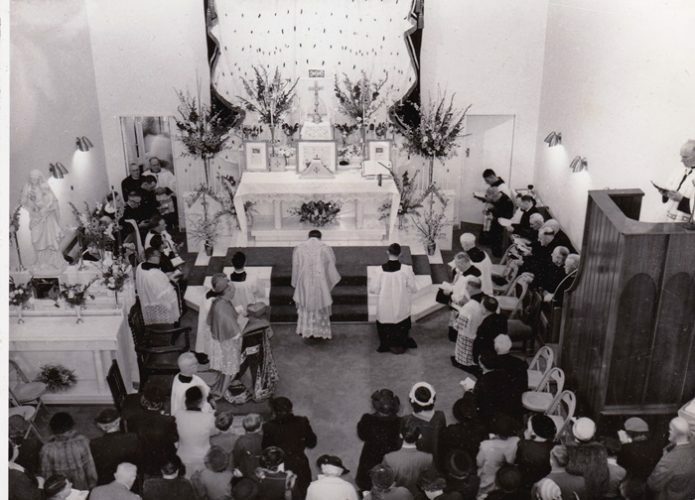 Within a year or two, nine masses were being celebrated on Sundays, four masses on weekdays, and at least five separate devotions were regularly offered in the church. The priests also conducted a busy ministry of confessions, counselling and chaplaincies. 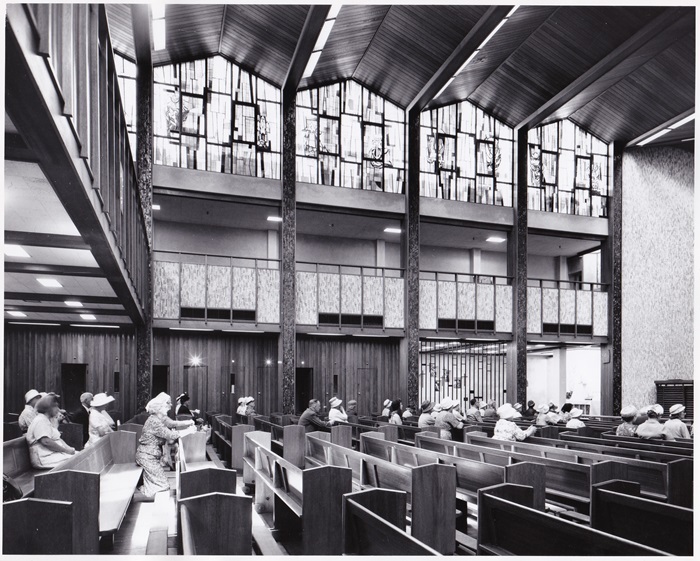 The rapid progress of the Haymarket community prompted the Blessed Sacrament Congregation to begin building a larger church and monastery on the site in the early 1960s. 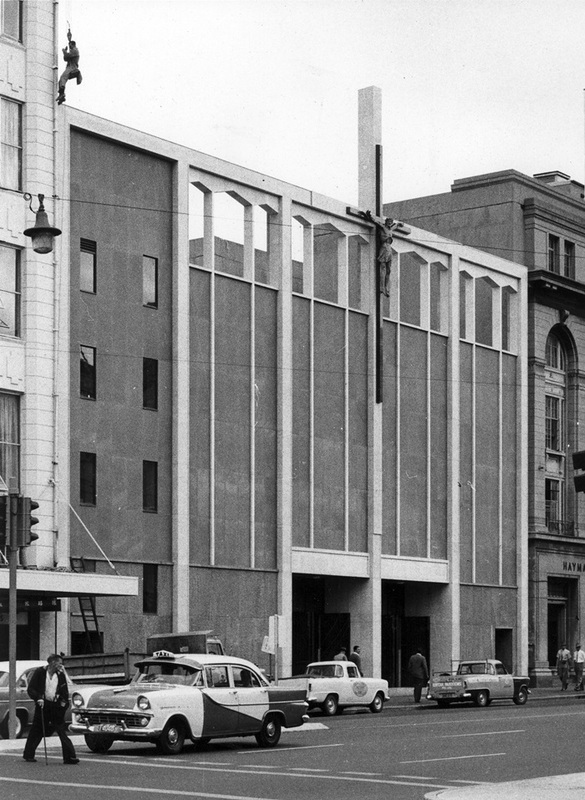 The monastery was completed in April 1963 and a strikingly modern church, designed by architect Terence Daly, was opened on 17 March 1964. 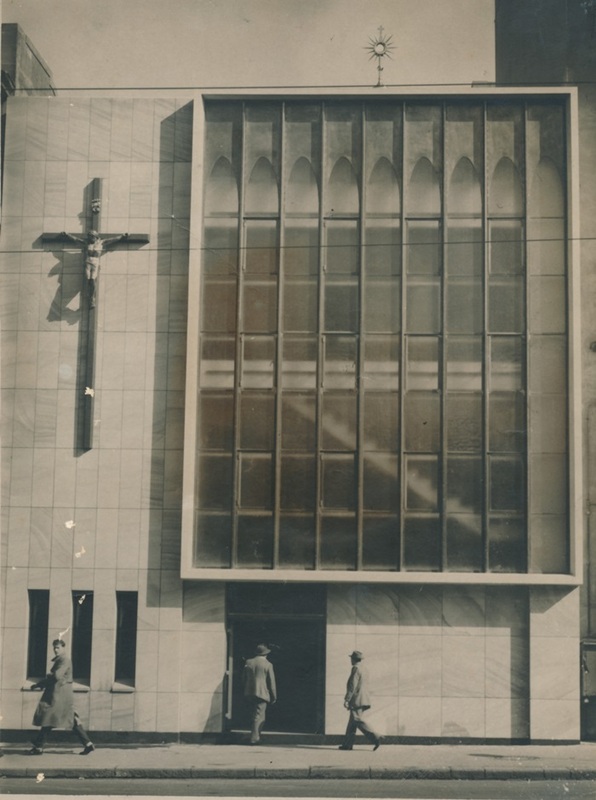 The new church was the first in the world to be named after St Peter Julian Eymard, who was canonised in 1962 when construction was under way. 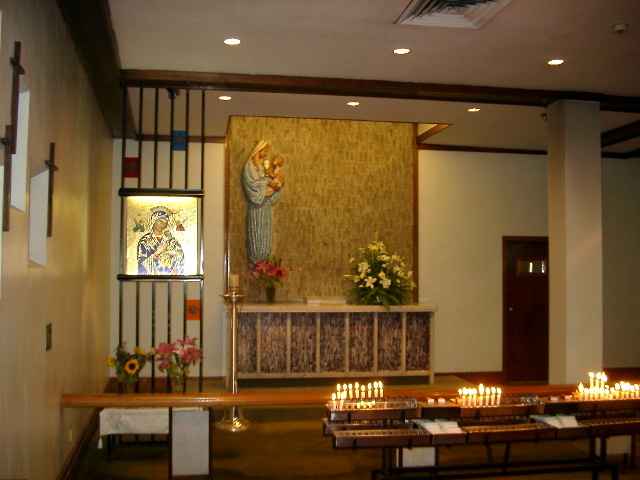 In July 2008, the church and monastery closed for a major refurbishment and modernisation (designed and managed by Randall Lindstrom of PMDL Architecture & Design). The newly renovated church reopened in March 2009. Office workers, shoppers, students, tourists, and the local Chinese community are among the diverse groups of people who have traditionally patronized this unusual church, which has always fitted comfortably into its commercial environment while representing other values. 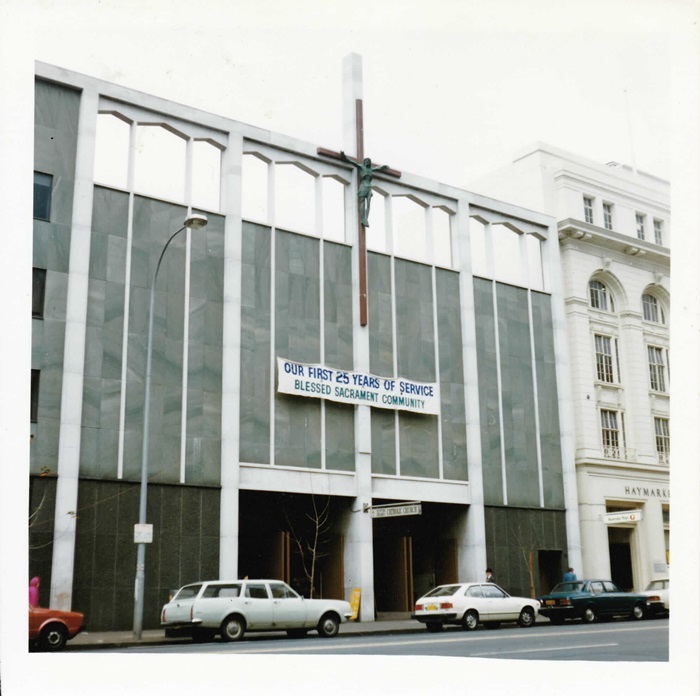 St Peter Julian’s Church has grown to be one of Sydney’s best-known and most-loved churches, a place of prayer and peace in the middle of a busy city, where all who pass its doors each day are welcome.